Press TV – Iran’s senior officials remain generally upbeat about the country’s oil production outlook despite looming US sanctions which seek to drain a key source of revenues. The state-run National Iranian Oil Company has lined up 34 working packages valued at $6 billion to enhance recovery and sustain production from its fields. The projects are being entrusted to domestic companies, with the contracts for Sivand and Esfand fields in the Siri operational area already finalized, NIOC Managing Director Ali Kardor said on Tuesday. The two fields are operated by the Iranian Offshore Oil Company (IOOC), a subsidiary of NIOC. Kardor said Iran will issue bonds in the Iranian month of Aban beginning on Oct. 23 to fund the projects. Negotiations are also underway for three other oil fields within the framework of Iran’s new contract model. Additionally, the National Iranian South Oil Company (NISOC) and Pergas consortium will soon finalize their contract for development of Karanj oil field in Ahvaz, he added. Measures have also been taken to insulate the oil sector against new US sanctions which kick in on November 4. Those include a plan by NIOC to sell its first crude oil cargo on the Iranian stock market or bourse on October 28. The arrangement will allow private traders to buy Iranian crude to resell into the international market, rather than NIOC selling directly to refiners. Kardor said selling oil on the energy stock market is profitable, but it will not be a venue for speculation. On Oct. 28, NIOC will offer 1 million barrels for sale in 35,000 barrel batches at the base price of $79.15 per barrel, subject to modifications based on the fluctuations of the market, he said. Iran produced 3.76 million barrels of crude oil in September, according to the country’s report to OPEC. Kardor said there is a capacity to raise Iran’s production to 8 million barrels per day with production enhancement methods and new technologies. “Given that even US oil shale cannot meet the market demand in the long run, sanctions on Iran’s oil and other producers will cause serious troubles for consumers in the coming years,” Kardor argued. The official also dismissed an International Energy Agency report that Iran’s oil exports in September had fallen to 1.6 million barrels per day, down from 2.7 million barrels per day in June. “Given the enemies’ monitoring of our activities, no statistics can be given but this figure is not correct,” Kardor said. The official said Iran’s oil exports have only declined “very slightly” and that the country is “very solid” in terms of production outlook. 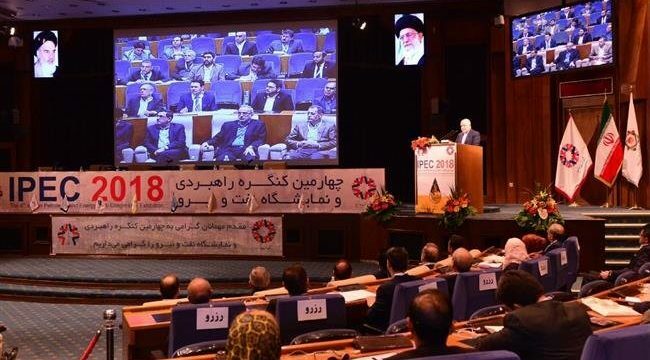 He made the announcement on the sidelines of the 4th Iranian Petroleum and Energy Club Congress and Exhibition in Tehran, attended by foreign and domestic companies. Azamat Ismagilov, deputy general director for business development and member of management board at Russia’s state-owned oil group Zarubezhneft, said Iran has taken useful steps to increase oil production. Zarubezhneft was awarded a contract in March to re-develop Iran’s Aban and West Paydar oil fields near the Iraqi border in a joint project with Iran’s Dana Energy. Minister of Petroleum Bijan Zangeneh told the event that Iran will try to find ways to finance technology and know-how through domestic markets to keep the oil flowing. “The sanctions are certainly harmful but we should try to minimize the harm,” he said. Zangeneh said US sanctions against Iran and fellow oil producers Russia and Venezuela are destabilizing the market and driving off investment, which could lead to a supply shortage in the next few years. “The market is smart and it realizes the sanctions impact would surface in production three years later,” he said, underling that US President Donald Trump is responsible for higher oil prices. The minister also said three phases of the supergiant South Pars gas field will come online by the end of the current Iranian year on March 20, 2019, each with a capacity to produce 1 billion cubic feet per day of sour gas. They will round up Iran’s 24-phase development of the field which it shares with Qatar in the Persian Gulf.